The overall goal of the Oxford Handbook series is to “advance an original conception of a given field through a definitive set of essays.” This entry in the Handbook series will aspire to be definitive not in terms of being exhaustive or solely authoritative, but rather, in terms of providing a snapshot of Hip Hop Studies in the mid teens of the 21st century, and in terms of “advancing an original conception” of the field. With this goal in mind, Oxford seeks to compile a collection of singular, challenging essays that pay respect to hip hop scholarship of the past by building on that scholarship and suggesting new, emergent trajectories for subsequent scholarship. One of the objectives for this volume is to speak to and about the contemporary moment—musically, culturally, ideologically, and theoretically. Contributors should thus focus in large part on what hip hop music/culture, in its many iterations, means today—to whom and in what settings; through what expressive means, musical and otherwise; and under what circumstances and socio-cultural conditions. Note, however, this present-centeredness is not meant to exclude historiographic examinations, either of hip hop music or scholarship. To the contrary, explore how and why multiple histories are conceived, canonized, and challenged; and how these histories flow into and inform contemporary expressions, as well as vice-versa, in often-unacknowledged ways. Inspired by the crate-digging DJs who first birthed hip hop music—the DJs who flipped vinyl records from product to source of musical creativity, all in service to the here-and-now demands of the dance floor—we invite writings that are likewise future-oriented, historically-informed, and grounded in the present, seeking out new resonances between these multiple fields. We encourage writers to address a wide array of hip hop music and sound—from mainstream to underground; from recorded to embodied; from commercially-oriented to culturally-oriented; from self-designated music to incidental soundscapes to outright noise; and finally, from the grey areas between the above categories to instances that explode these (and other) dichotomies altogether. 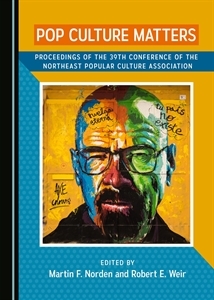 Although the designated subject of this handbook ismusic, authors will be expected to link music and sound to other elements of hip hop culture, and also perhaps to musical practices and cultural dynamics extending beyond hip hop. When it comes to methodology, authors are encouraged to draw from multiple disciplines and schools of thought, as well as points of view that originate outside the academy. Please send abstracts of 400 words or less along with a 50-word bio (feel free to also link to a personal website) to hiphopmusichandbook@gmail.com with subject heading “Handbook Proposal” by 1 October 2015. Acceptance notifications will arrive no later than 1 November 2015. Chapters of 5k-7k words will be due 1 March 2016, and editors will work with authors on revisions through the spring in order to amass the entire collection by 1 June 2016 and submit to OUP shortly after.